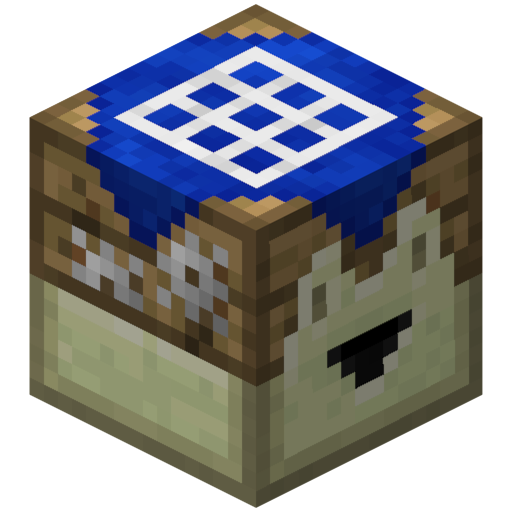 This mod adds a single block to the game: the Crafting Automat. 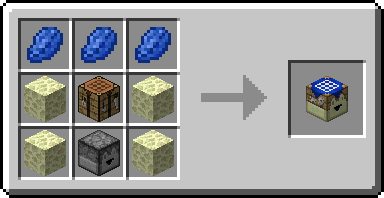 The block can craft any recipe (including one from mods) when it receives redstone power, following the same rules as vanilla droppers and pistons. The Crafting Automat was designed to automate crafting recipes, whilst minimally affecting the vanilla experience. I've kept the GUI plain and simple and tried as much as possible to melt its features with existing gameplay features. See the Details section below for more info. 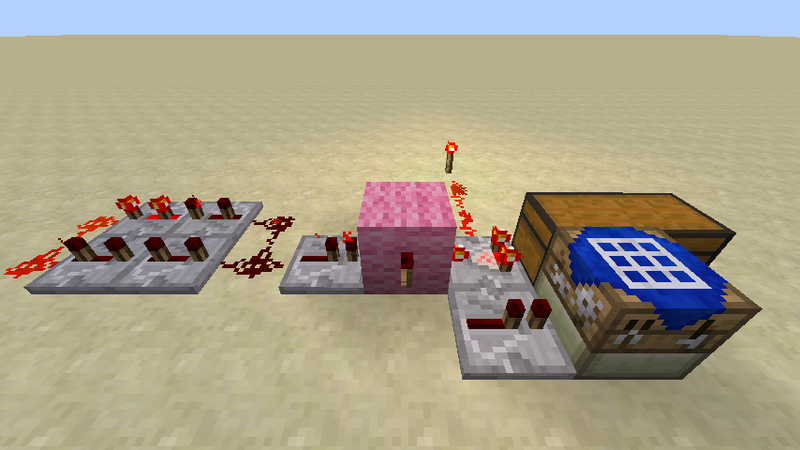 The Crafting Automat requires a single redstone pulse to do its job, and it operates much like a Dropper. If there is a valid recipe in the matrix, it will perform one crafting operation and spit out the result. When the front face is connected to a container (including entities such as carts), it will put them there instead. The Crafting Automat has an internal storage of 9 slots. 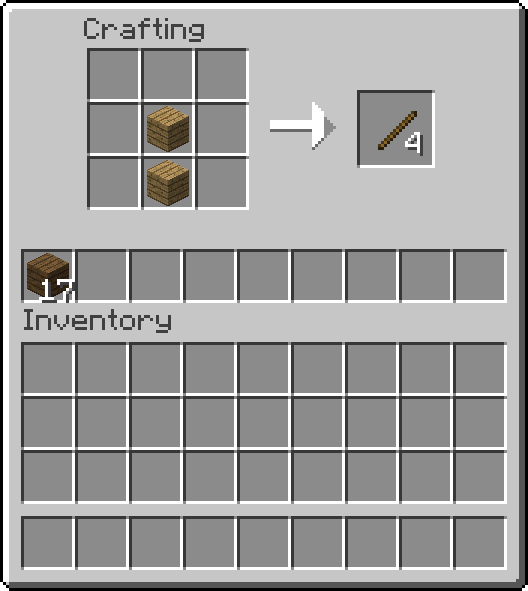 Items can be moved between inventories, and hoppers or other transferring blocks (e.g. pipes) can access it as well. If the storage contains an equivalent list of ingredients as is specified by the recipe, the block will eat them from there instead. This means the Crafting Automat accepts valid replacements of certain items, so long as the internal storage contains them. This also means left-over items, such as Buckets in the Cake recipe, will be swapped with the storage as well. A single crafting operation takes 24 game ticks, including 16 ticks cooldown time. A Crafting Automat hooked up to 3 hoppers with a recipe taking up the entire 9 matrix slots will operate synchronously, since every hopper takes exactly 8 game ticks to transfer a single item. Crafting Automat is licensed under the GPL2. Feel free to use it in your modpack, you don't need to ask me. This also means left-over items, such as Buckets in the Cake recipe, will be swapped with the storage as well. No, empty buckets is vanishing in this case! It's a bug! you know when this bug will be fixed? when filling a chest with the crafted item what happens if the chest gets full? does the Crafting Automat just stop even if it receives a redstone signal? It's going to continue crafting, but spit out the items into the world, like a dropper. You can retrieve the chest 'fullness' with a redstone comparator and hook that up with some redstone to the autocrafter input, to prevent it from producing items when that chest is full. EDIT: something like this. The pink block is input (I hooked it up to a clock). Oh I figured that was doable with a comparator, I just wasn't sure if it would be required to stop it or not so I figured I would ask. 1. Is this compatible with mods like Quark, Biomes O' Plenty, or the Corundum Mod (just random examples that I use, not based on popularity)? 2. How does this mod deal with conflicting recipes? 1. This is compatible with all mods, and most recipes in those mods. If the recipe isn't too crazy, this will work. This may sound pretty vague, but the best way to find out is to just try it. 2. Conflicting recipes are handled the same way as a normal crafting bench would: i.e. unless the conflict is resolved through other means, the crafting bench will use newest loaded recipe (overriding the old). Hello, get a crash when using Splitting and combining recipe from Extra Alchemy , could you fix it ? I replicated the error with source code from your EA version, but the bug seems to be connected to the way minecraft handles recipe checks. Before the error, the implementation says the split recipe can be produced x times, where x is a very large negative integer (? ), and x is produced by native minecraft source code. Since making an item a negative number of times doesn't make any sense, and I cannot change that code without changing the whole implementation, I've added an extra check for positive recipe counts to disable auto-crafting recipes such as these. Will there be 1.13 support? It looks like this mod tries calling client code even when running on a server and so won't let a server start up with it.